The hearings come as environmentalists and farm workers have filed lawsuits against the use of methyl iodide, which is used as a soil fumigant. Assemblymembers from two committees heard from scientists who had previously advised the state not to approve the pesticide. They also received testimony from state officials who made the decision, and representatives of the farming industry, who said that banning the methyl iodide would effectively put the state’s strawberry farmers out of business. Methyl iodide was approved by the U.S. Environmental Protection Agency in 2007 over the protests of more than two dozen California legislators and 54 scientists, including six Nobel laureates. It is now licensed for use in 47 states.Only the state of Washington rejected its use. California’s Department of Pesticide Regulation approved methyl iodide’s use in December, shortly before Gov. Arnold Schwarzenegger’s term ended. Many environmentalists, scientists and farm workers attacked the decision, noting that California’s own scientists, as well as an independent panel hired by the state, concluded that the chemical posed a potential risk to public health. The strongest testimony this week came from John Froines, a professor of environmental health at UC Los Angeles who led that independent panel hired by the state to assess the risks of methyl iodide. They recommended that California not approve the chemical. Froines told lawmakers Tuesday that “the scientific process was subverted,” by the department when it approved the chemical, and he called it “painful” for him “both personally and professionally.” He went on to list methyl bromide’s dangers, including its potential to damage the central nervous system. He said he used the chemical in the laboratory when he was a graduate student at Yale University and it was “terrifying,” and that the state essentially used bad science to rationalize its approval. Meanwhile, Paul Wenger, head of the California Farm Bureau, said he has used pesticides for years and had healthy children and now grandchildren. Wenger said he trusts state and federal regulators, and he and others warned that the strawberry industry would collapse without the pesticide, because strawberries are among the most vulnerable to soil born diseases. Is this article about Methyl Iodide or Methyl Bromide? The second to last paragraph confuses the issue as it alludes to John Froines listing the dangers of Methyl Bromide. Which chemical is he talking about? There is obviously professional disagreement on the hazards associated with Methyl Iodide. Sure but did they eat the strawberries? Bet they didn’t. 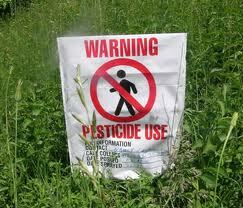 I am not an authority on methyl bromide, but I believe it is a danger in the air, not on the berries. The chief hazard it poses is that it doesn’t stay where you put it: typically under a tarp to fumigate soil, or under a tent to fumigate a house. In the latter case, the house is perfectly safe for peeps to inhabit after a little bit of airing. This is not to say that strawbs are not laden with pesticides. This is to say that they are not laden with methyl bromide, or now methyl iodide, because the stuff vapors off into the atmosphere. If it could be made to stick to something (anything) most of the application dangers could be averted.